“Hey mom! 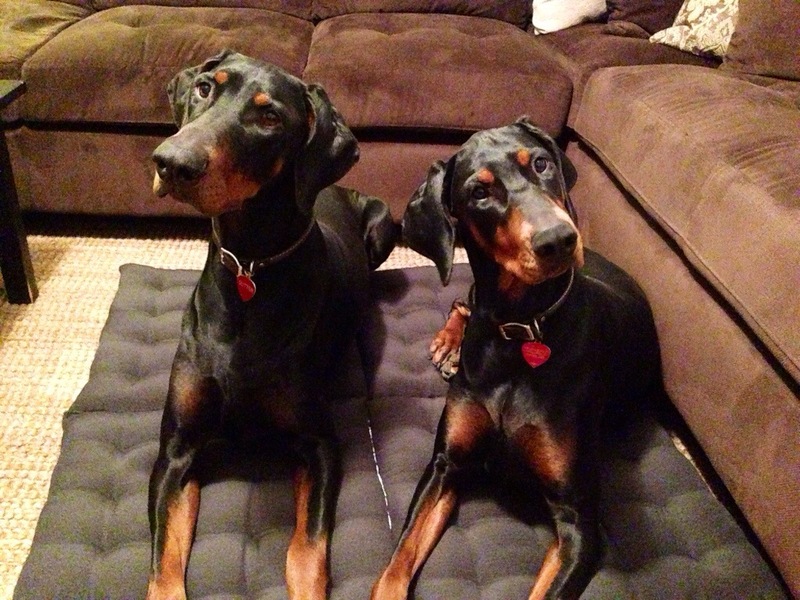 The blog is Little Houses BIG DOGS…Where’s the dog projects! We took a break from home projects this weekend to reconnect, spring clean, and play with the pups. Luckily we did have a doggy inspired project up our sleeves. 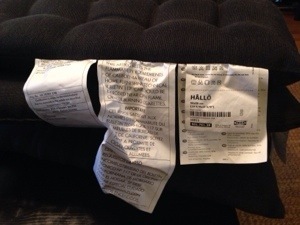 During spring cleaning we found four Ikea Hallo outdoor seat cushions. (Originally they were meant for an outdoor dining set we never bought a year ago, and now just stored as miscellaneous cushions) Hubby was ready to take them to the Goodwill as a donation when I realized they could serve a “puppy” purpose. The dogs aren’t allowed on our couch, but that doesn’t mean they can’t be comfortable when we all hang out in the living room. 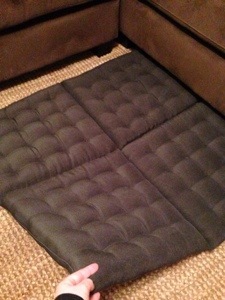 However we have two big dogs and lack space so a standard dog bed was not going to work. 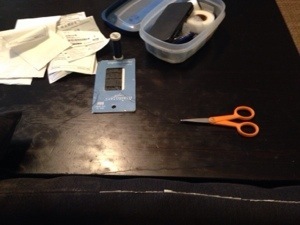 Hence out came the sewing “Tupperware” (I do not sew). 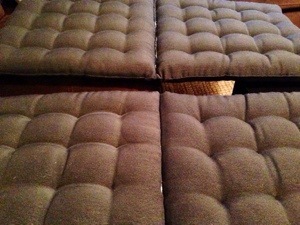 Then over a (much needed) glass of wine attempted to hand stitch cushions together. 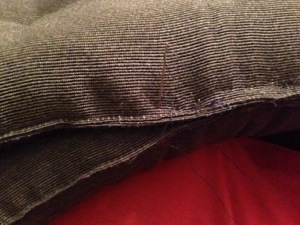 I basically squished the cushions together and thread the needle thorough one then back through the other (sorry I’m sure there is some technical sewing lingo, but I don’t know it) Once I had two separate sets of two cushions I stitched the two sets together lengthwise. 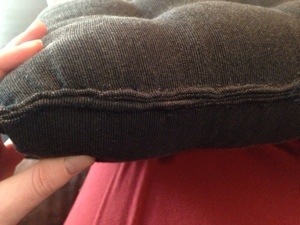 The stitch lengthwise actually acts like a hinge and allows the cushions to be folded in half. 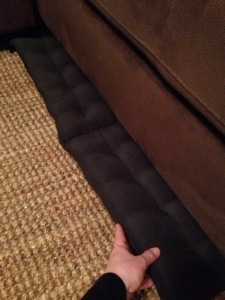 But the best part is that when the cushions lay flat, the dog bed slides right under the couch when not in use. 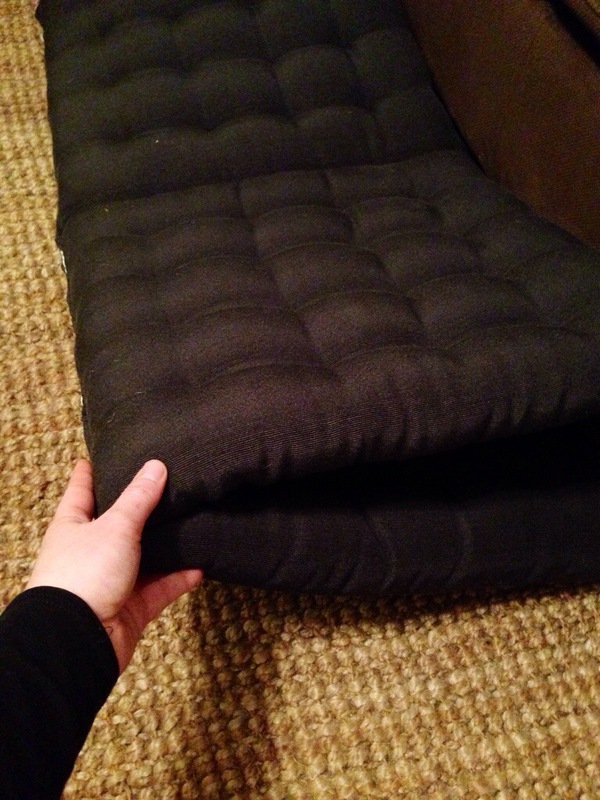 Overall the dogs seem to love their new bed and not bad for a project that just cost me a few hours and $0. We hope this inspires you to create for your small space. Happy Sunday everyone! 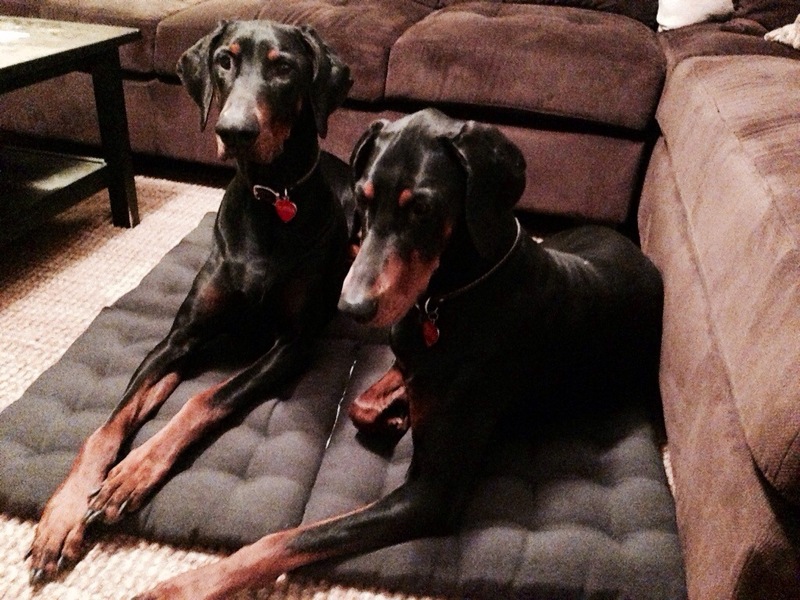 This entry was posted in Projects and tagged diy, diy dog bed, dog bed for two dogs, dog bed slides under couch, foldable dog bed, hallo cushions, Ikea, Ikea hack by Tandra. Bookmark the permalink. This is a a really good idea! I was just thinking about where I would keep a dog bed if I even kicked the pups out of my own.